Description - Tsundere, soft drinks addict, next Steins;Gate antagonist. Description - Tsundere, soft drinks addict NOPE.avi, next Steins;Gate antagonist. Unless it's Dr Pepper, no. I prefer coffee any day of the week. 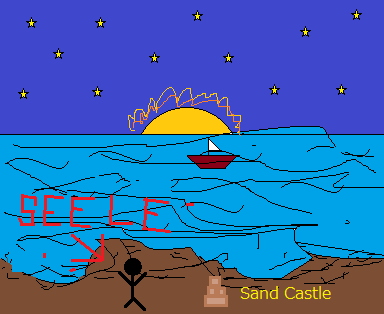 Also, lul Seele on the beach. Nice try recreating that sand castle scene though. Agnusdei-Long black hair over one eye in a shirt that is slightly to tight to his androgynous form. He nihilistically flips his hair to one side as he says comments like "No one can understand the chains I bear as I walk through his dark valley man calls life...". Well, someone's got to be a trap on this forum. If Nisa decides to quit, then someone else will take up the mantle. Preferably someone who is at least 18. It is awkward to see people talking about how "doable" a 15 year old is. Valkyrie: 19 year old Tsundere Male. We'll guess blonde-ish hair and brown eyes. Has probably played Valkrie Profile. Wow, someone described me o.o /sorry miss, but to be Tsundere, I should be in love first, which I am not. Senkern is male, with a thin silhouete. He's vietnamese, and has short black hair and brown eyes. Also.... Valkyrie, did you change your avatar to match Eri's guess =? Valkyrie #30: Commander, commander! Our ulterior motives have been discovered! Valkyrie #2: The commander is busy now. Report the damage to me instead. Valkyrie #30: So far there have been no casualties. However, it seems that Valkyrie #9 disappeared. Valkyrie #2: Say no more. You are dismissed. Valkyrie #2: And that's what Valkyrie #30 reported. Valkyrie #9 hasn't been found yet. Valkyrie #3: I think it's better we ask Valkyrie #7. Commander what's your opinion of this? Valkyrie #1: I already know what Valkyrie #7 will say. Bring me Valkyrie# ? instead. Valkyrie #3: B-But Commander; it's extremely dangerous to approach Valkyrie #?. Shouldn't we ask Valkyrie #! to assist us in this matter? Valkyrie #2: If Valkyrie #? is considered to be dangerous, then Valkyrie #! is as dangerous as Valkyrie #?. I'll summon Valkyrie #? myself. Valkyrie #1: Don't worry about that. *Turns around* Valkyrie #? show yourself! Valkyrie #? : Good evening, fellow Valkyrie. How are you all doing? Valkyrie #3: E-e-e-enough with the politeness! T-t-t-tell us what you've been doing all this time, or else..
Valkyrie #2: Then where's Valkyrie #9? Also, Valkyrie, maybe you're subconscious wills you to paint the image Eri expects of you =P Perhaps your mental wave connected momentarily to Eri's expectation as you selected your new avatar. For a brief second, you met Wave Existence, and lo, it was so. is a fictional character that appears in publications published by Marvel Comics. The character first appeared in X-Men #12 (July 1965), and was created by writer Stan Lee and artist/co-plotter Jack Kirby. Since his debut during the Silver Age of Comic Books the character has appeared in over four decades of Marvel publications, featuring prominently in the X-Men titles and starring in two one-shot solo publications. The character has also been associated with Marvel merchandise including clothing, toys, trading cards, animated television series, video games, and a feature film. In 2008, Juggernaut was ranked 188th on Wizard's list of top 200 comic-book characters. In 2009, Juggernaut was ranked 19th on IGN's list of top 100 comic-book villains. Also I think he has red hair and blue eyes. I think I get what you're saying...? Are you saying you want to be my special person...@. @ Sry, but again, I has a special person >.< Position already taken! Also, if I increased your moe personality to 8, what was it before? tell me who is the special one so i can smash his brain out? (determinated to fight mode activated),also be honored. some ppl here are not so MOE,they are just troll wannabes.